Macy’s is currently offering exclusive G-Shock and Baby-G gift box sets for summer. 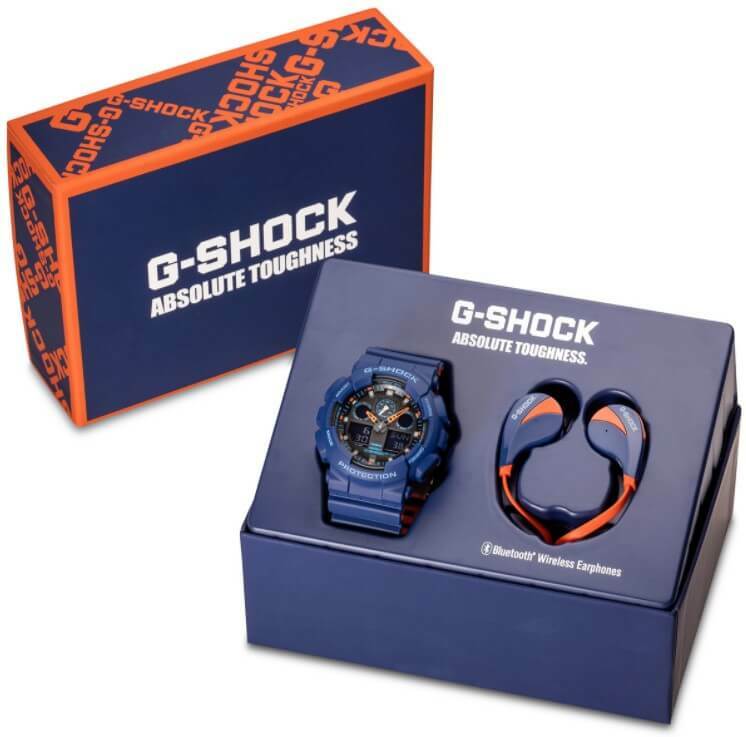 The sets include a unique G-Shock and Baby-G branded accessory bundled with a matching G-Shock or Baby-G watch in a custom box. This set includes the blue and orange G-Shock GA100L-2A from the Layered Band Military Color Series. The watch has a mix-molded dual-layer band with an inner orange layer. The Bluetooth wireless earphones are also blue and orange and branded with a G-Shock logo. List price is $110. This set includes the G-Shock GA700-1A from the recently launched GA-700 series. The GA700-1A is one of our picks for the top 10 best G-Shock watches and has a front-facing button for the LED light and a 5-year battery. 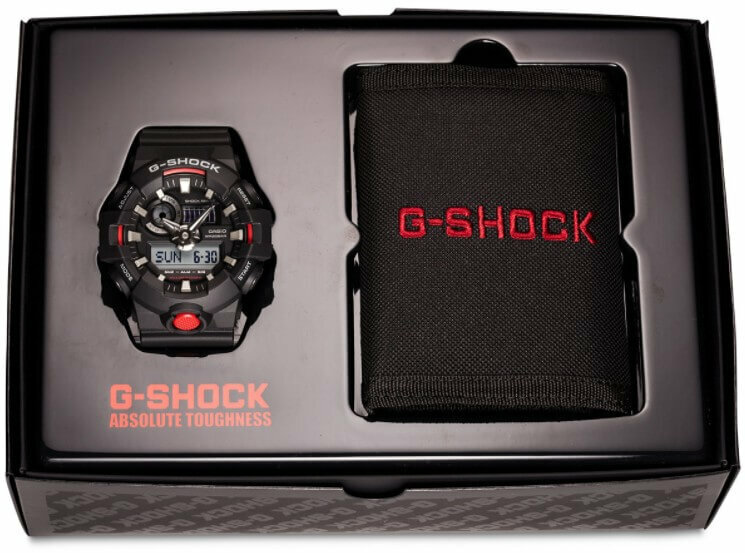 Also included in this set is a black wallet with a red G-Shock logo. List price is $99. This set includes the Baby-G BG169R-8B which is similar to the watch worn by Blake Lively in the movie The Shallows. The BG169 series is popular with surfers and features 200-meter water resistance. This watch comes with a matching keychain tassle that functions as a USB charging cable. It appears to have connections for micro-USB and iPhone Lightning. List price is $89. These items are available exclusively at Macys.com and select Macy’s department stores.